Psoralea Corylifolia Seeds (Babchi/Bawchi) is an important plant in theÂ IndianÂ Ayurveda, Tamil Siddha, and also Chinese medicine. 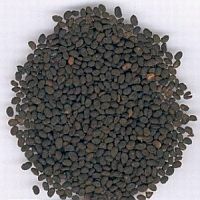 The seeds are generally used as a diuretic, diaphoretic, laxative and stimulant. Its seeds are also used to make perfumed oil. Powdered seeds of Psoralea are applied externally to cure many skin related problems.